lately, it’s been rainy, all the doom & gloom of late summer in mid-August, Texas. I know we have months of that cauterizing heat left, the ecstatic sun I irrationally, sentimentally hold dear, but right now it feels like fall is right around the corner. in honor of the Parisian weather, I made lentil salad. Sunday morning woke up sleepy-headed and cooked up some thick-cut bacon, using stale bread to soak up the excess fat from the rashers like a paper towel laid down by one’s well-meaning, fool mother, and some more to sop up what was left in the cast iron; truly, a blissful seance. then, I sauteed carrots, onions, garlic and parsley until tender & aromatic while I cooked up those gems of the legume family, those pretty little black beluga lentils. tossed them all together with a mustardy vinaigrette, adding floral tarragon and licorice-sweet basil and cow’s milk feta. to be enjoyed with bacon, bacon grease, a crusty bread–even a humble loaf at death’s door!–and Tabasco, the only hot sauce suited for Parisian doom & gloom. I made carrot salad the other day–one of my very favorites. a variation on a French theme. something referred to, sometimes, as salade rapide. slow food whipped up quickly. sometimes, it features raw beets as well as carrots (a glorious, jewel-toned variation). sometimes, it has pistachios (mine had walnuts, either addition has a toothsome richness that balances out a dish at once complex and simple; a few ingredients muddling the distinction between earthy and sweet). carrot salad is a color story, too–a bright little bowl of winter & spring, roots & herbs, of contrast. it’s lovely that you can see the dish’s balance, just as you can taste it. lately, balance has struck me as interdisciplinary, cross-sensory. watched Antonioni’s Red Desert the other night, and found its colors suggestively mesh & viscerally collide with each scene’s mood, its ambling dialogue & piercing post-industrial sounds. the film precariously balances quiet & loud, but mostly is a piece of remarkable visual storytelling–it is a moving painting. also read this interview with David Lynch in AnOther magazine, in which he discusses the relationships between film & painting, or, for our purposes, between color & sound or taste or mood. between the visual & the aural, or the imaged & the imagined). that’s the thing about balance, and the relationship between the sensory & the cerebral: these things have a way of wanting to be; and, perhaps more importantly, it’s not intellectual, but intuitive. so, no recipe for carrot salad–one that’s set in stone doesn’t exist. you create the balance, by knowing your ingredients, by tasting and looking for something that’s a composed mess, a garble of winter & spring. no spelunking the philosophical depths of Antonioni. sometimes, you just let a thing of beauty and balance be. lately, I’ve remembered what it’s like to put on some jams & get lost in thought thinking of nothing, daydreaming a blank. psych-punk, pop-punk, dreamy garage riffs, the stuff that feels nostalgic and new at once. the stuff that you don’t think too much about, you just dream or dance. lately I’ve been into winter greens, or, rather, winter rainbows. made a salad of rainbow chard, red kale, chickpeas, feta, smoked chicken and prom-queen-pink watermelon radish. and rosy-gold aperitifs with cocchi rosa americano, sweet vermouth, soda & an orange twist recalling italy–the land of premixed, bittersweet campari & soda in a little glass bottle, available for purchase at espresso bars. there’s something whimsical about apertifs; they’re elegantly understated & reserved, yet, cheeky, light. they wink. they’re an exercise in balance, and a splash of fiery orange or vibrant pink–or even the dusky yellow of lillet–mediates the mid-winter blues. lately, I’ve been into negative & positive space, the interplay between light and dark, bright and pale. finding the intersections, parallels and divisions between mood, emotion and sensibility versus intellect, the analytical, the measured, the staid. it’s been almost exactly one year since I wrote to you. it’s been almost exactly one year since I wrote for myself. and here we are. happy new year! once upon a time, I liked yogurt & fruit & granola for breakfast like any civilized person. but then I realized I could eat salad for breakfast–because I was a bonafide adult, independent and freewheelin’, so why the hell not–and all my civility went out the window. I eat salad for breakfast almost every day. like this panzanella, with beets & roma tomato, red leaf & romaine, chickpeas, feta, and a sunny little boiled egg. panzanella is one of my all time favorites–for anyone interested in mopping their plate with a hunk of bread, or sopping up soup, or really any instance of realizing the spongelike potential of a crusty loaf, panzanella is the salad for you. it’s one of those vehicles (the mercedes W123 of foodstuffs, at once earnest and elegant) for slightly stale bread–which gets torn and baked into sizable croutons, which in turn soak up olive oil & tomato juices, and get lovely and pliant. those savages, rebels & visionaries eating panzanella for breakfast (and lunch, and dinner) will live happily ever after. the end–and the beginning of a year of writing. beets! 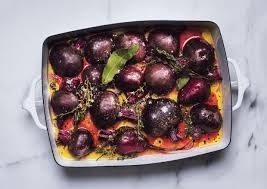 lately I have been into beets. shaved some raw chioggias into a salad with kale, dried fruit + nuts, crumbled sharp cheddar & a mustardy vinaigrette. a wintry assemblage–sharp, rich and jewel-toned. 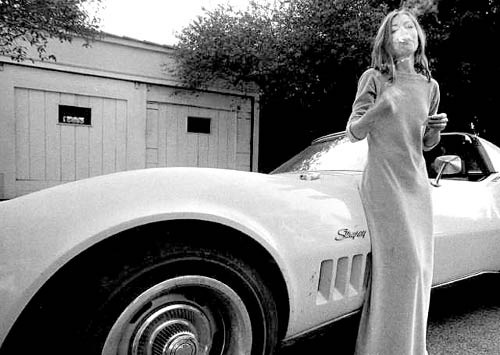 Didion! this piece celebrating her and her recent collaborator/co-conspirator, Celine, is wonderful. (these slingbacks remind me of Didion’s Stingray). 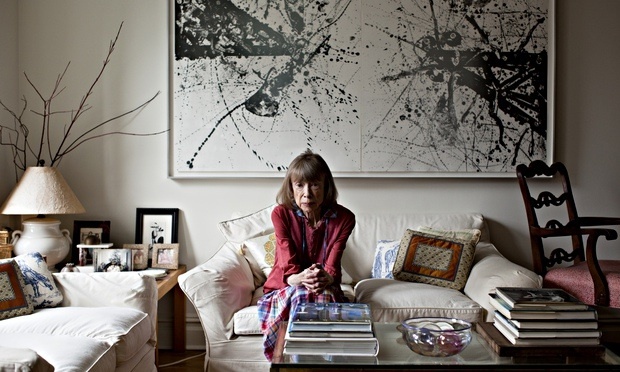 Didion has always been both an artist and a muse. I admit that I, too, have wistfully admired her elegant little packing list. when I lived in New York years ago, and was young and sylphlike, I wore jersey sweatshirts, a-line skirts and flats almost exclusively, and tromped about the respective Villages even though I lived in Harlem. when I moved to New York, not from it, my sister gave me a copy of this brilliant essay. it is perfect, applicable to both falling in and out of love with a city. Didion is a master of writing on the self, about the things we know, the observable and observed, and the things we can only feel. I wrote more in New York. I wrote about the sun & air on a certain day, a certain street. about eating bagels on stoops, funny old philosophers wandering the Columbia campus, pizza and fruit stands. I wrote about how by exploring a bright, odorous, loud, difficult, beautiful, ugly, exciting city, I was exploring the self.